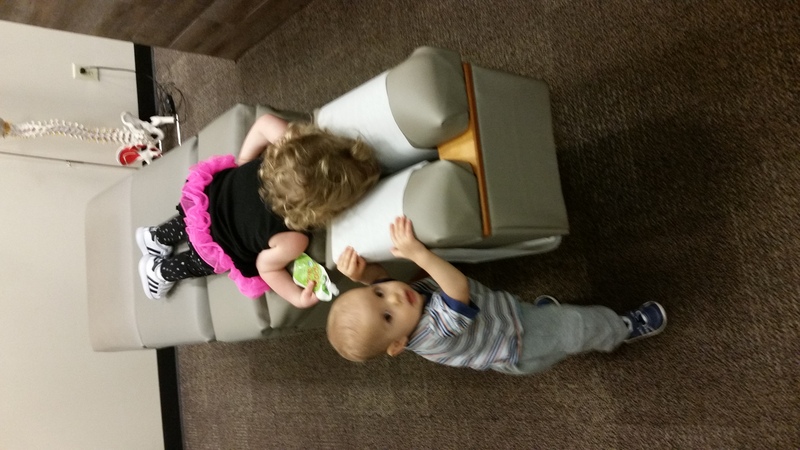 Do babies need chiropractic adjustments ? Even parents who are regular chiropractic patients may ask this question. Alex’s birth couldn’t have gone better or smoother. Born a week before his due date, he was 7lbs 12oz, breathed well and nursed well from the get go. Yet even a good, easy birth is an athletic event for babies’ bodies. The next day, his mother thought his facial coloring seemed very red, while his body was a lighter pink. There seemed to be disruption in the flow of life in this little one. Dr. Denise visited and gave little Alex a gentle adjustment while cuddling him. This relieved the misalignment where the tiny bones put pressure on trillions of nerves. The adjustment restored good flow and communication from the brain throughout the body. Allowing his body to innately function to its best potential. Feelin’ fine after an adjustment! Over the next day, Alex’s color normalized and he continued to grow. And he continued to visit Drs. Ryan and Denise, clearly enjoying the interaction and the gentle release of their adjustments as he smiled, laughed and cooed. Alex was not quite a year old when he had tumbled off a step. As he wasn’t even bruised, his mother comforted him from the scare and thought he was fine. That evening, he began screaming and thrashing around instead of nursing, though he was clearly hungry. 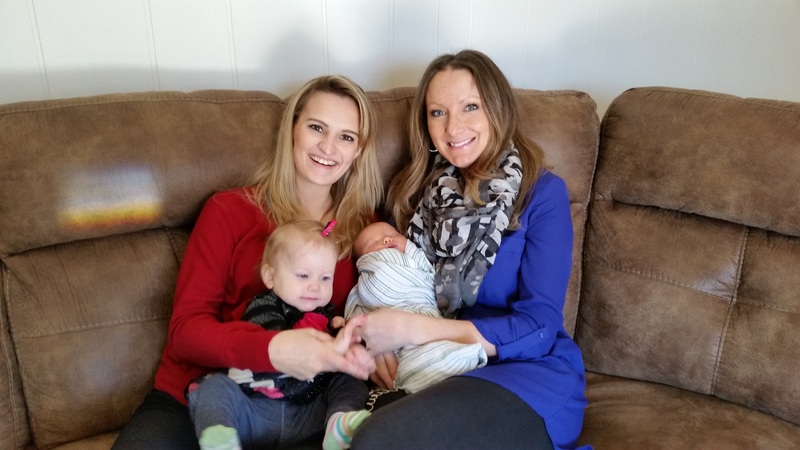 This was bizarre behavior for the happy baby and his mother realized he didn’t want to be cradled in that position. The following morning, Dr. Ryan confirmed Alex was painfully out of alignment. He adjusted Alex and rechecked him a few hours later. After that, Alex was once again happy to be cuddled! 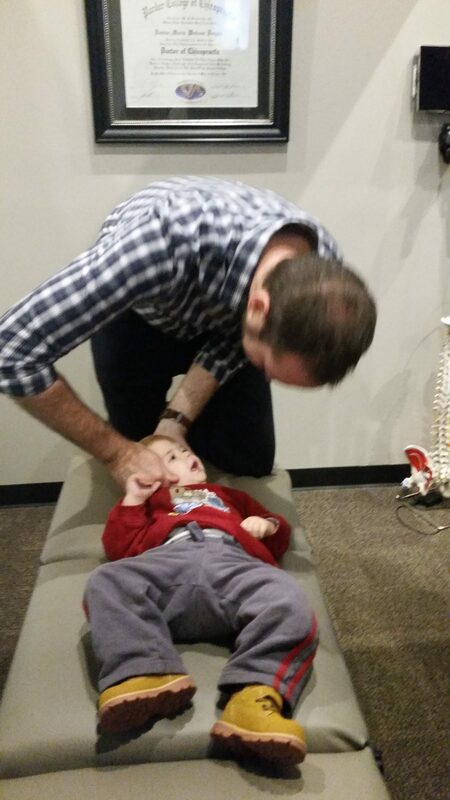 At 15 months old, Alex wants to go for the next step—to become a chiropractor himself and help his friend Lucy ! Don’t worry. 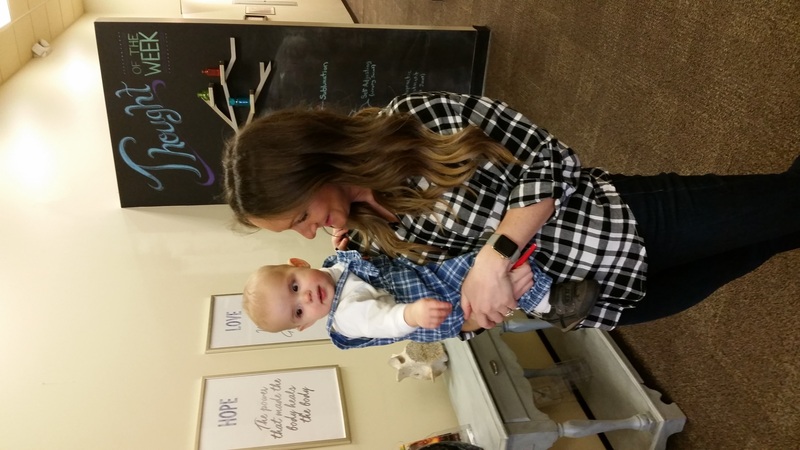 These chiro babies are pros! 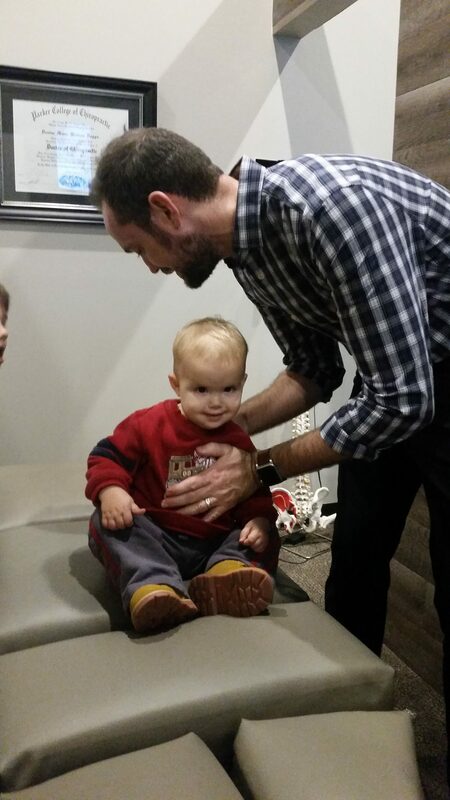 Now just before his second birthday, little Alex does gets adjusted, putting him back into alignment from his active, rough and tumble, toddler life. He is clearly at ease during his adjustment with Dr. Ryan and his parents are glad to know his body has gotten a good start and can continue to grow strong. Thought of the Week: Happy Anniversary!